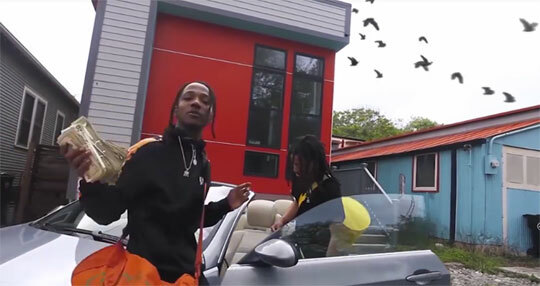 Young Money’s newest duo Vice Versa have released the official music video for their “Large Amounts” song featuring fellow New Orleans natives Negus, Young Juve, and Pusha. The visual, which was shot in N.O., was co-directed by Dr. Clipz and PR88F/Chapter 9ine. There is also a cameo from Lil Soulja Slim. Hit the jump to check out Poppy Holden and Yaj‘s “Large Amounts” video! Check out the official music video for YG‘s “Big Bank” single featuring Nicki Minaj, 2 Chainz, and Big Sean below. The track, which was produced by DJ Mustard (who also makes a cameo in the visual), will appear on YG‘s forthcoming Stay Dangerous album, due to drop later this summer! Drake has released the official music video for his latest single “I’m Upset“. 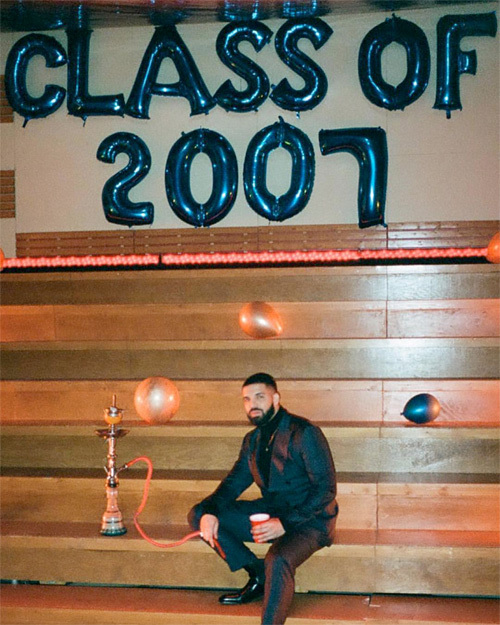 The Karena Evans-directed visual includes a “Degrassi” reunion, which is a TV show that helped Drizzy first rise to fame back in 2007 by playing a character named Jimmy. As well as the video, Drizzy Drake has also revealed the official artwork for his upcoming Scorpion album and announced it will drop at the end of this month on Friday, June 29th. You can check out the “I’m Upset” music video and see the Scorpion cover after the jump below. Not long now! According to Billboard, Nicki Minaj has earned her 30th top 10 entry on the Mainstream R&B/Hip-Hop Airplay chart with her “Chun-Li” single after it went to No. 8 this week. This now means that the Young Money Barbie has tied with Beyonce for the most appearances by a female music artist in the Billboard chart’s history, so a big congratulations is in order. Nicki is in joint seventh place for the most top 10 hits on the Mainstream R&B/Hip-Hop Airplay chart with her YM label-mates Drake and Lil Wayne above her in the first and second spots! Nicki Minaj has been announced to appear on “The Ellen DeGeneres Show” on Wednesday, May 23rd. The Young Money Barbie will sit down with Ellen for an interview and also perform live on the daytime talk show. Don’t forget that four days before this on May 19th, Nicki will also appear and perform on the season finale of “SNL“! 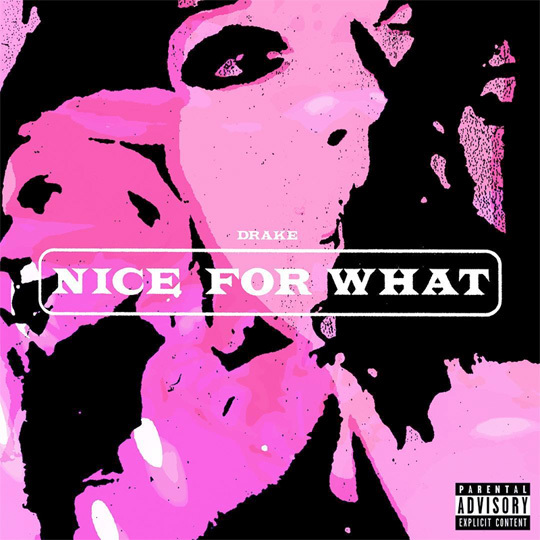 As promised, Drake has released his new single called “Nice For What“, which was produced by Murda Beatz and samples Lauryn Hill’s “Ex-Factor” song. Drizzy also premiered a music video for the track that was directed by Karena Evans. It includes cameos from Issa Rae, Tiffany Haddish, SYD, Olivia Wilde, Rashida Jones, Emma Roberts, Tracee Ellis-Ross, Michelle Rodriguez, and more. You can stream “Nice For What” and watch the official visual after the jump below! What are your thoughts on the 6 God‘s latest record? 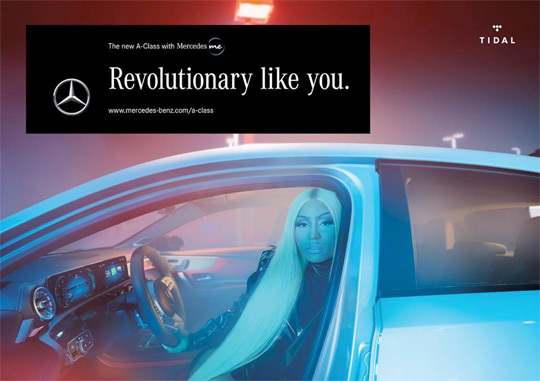 For their “Just Like You” campaign, Nicki Minaj stars in a new commercial for Mercedes-Benz that is promoting their latest A-Class car. The Young Money Barbie pops up in the whip after the driver asks her car to play her some hip-hop music. You can watch the commercial in a clip after the jump below!